Dulles, Virginia-based Orbital ATK has agreed to cover some of the remaining expenses required to get the Mid-Atlantic Regional Spaceport’s (MARS) Pad 0A operating so that the Antares rocket can be launched again. The agreement reached between NASA, Orbital ATK, and the Commonwealth of Virginia should allow the Cygnus spacecraft – which launches atop Antares – to resume delivering cargo to the International Space Station as early as next spring. According to a report appearing in Space News, the damage to Pad 0A cost an estimated $15 million. The three parties will each contribute $5 million for repairs and insurance. Virginia Governor Terry McAuliffe announced on Thursday, August 6, that an agreement between the Commonwealth of Virginia and Orbital ATK had been reached and highlighted the spaceport’s importance. Under this arrangement, the funds needed will be provided to finish repairs that are already underway as well as to provide insurance in the event of future mishaps. If everything continues to go according to plan, Antares will conduct a hot-fire test using two of the RD-181 rocket engine sometime later this year. If successful, the first flight of the booster should take place sometime in 2016. This uprated version of the rocket, dubbed the Antares 200, will incorporate two Russian-built RD-181 engines in its first stage. These two engines should allow the rocket to generate 440 kilonewtons (100,000 lbf) more thrust than the dual AJ26 engines used on the Antares 100 version. This will give Antares the capability of hoisting up to 15,000 lbs (7,000 kg) into low-Earth orbit and, in so doing, complete its obligations to NASA in four flights – instead of the five flights scheduled. This increased capacity should allow Antares to complete its requirements under the $1.9 billion Commercial Resupply Services agreement that Orbital ATK has with NASA. On October 28, 2014, an Antares rocket and its Cygnus spacecraft exploded some 12 seconds after lifting off from Pad 0A on their way to the International Space Station. This accident resulted in the loss of the mission and its 4,883 lbs (2,215 kg) of cargo. 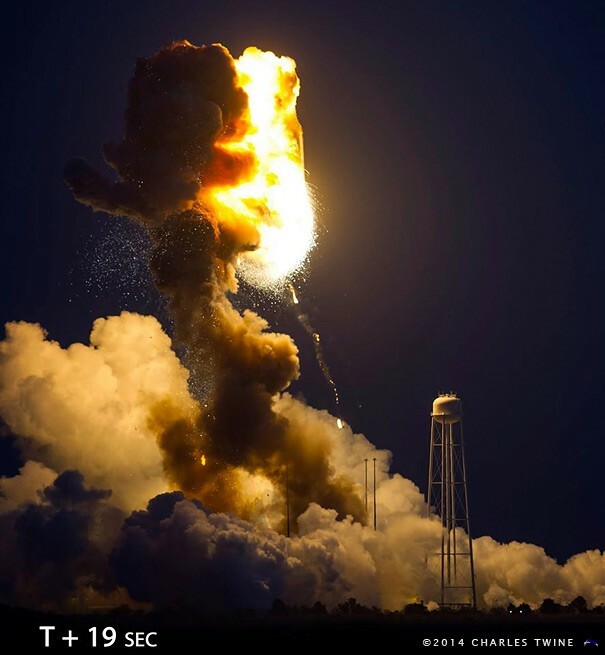 It was reported by SpaceFlight Now that the cause of the accident is believed to have occurred when one of the two Aerojet Rocketdyne AJ26 rocket engines in Antares’ first stage encountered a failure with its turbopump during the first moments of the Orb-3 mission. MARS is one of only four current locations licensed by the Federal Aviation Administration (FAA) to launch rockets into orbit from the United States. “The Governor was clear in his direction following the October 2014 launch mishap that the Virginia Space Authority was going to change the way it conducted business and become a sustainable entity. 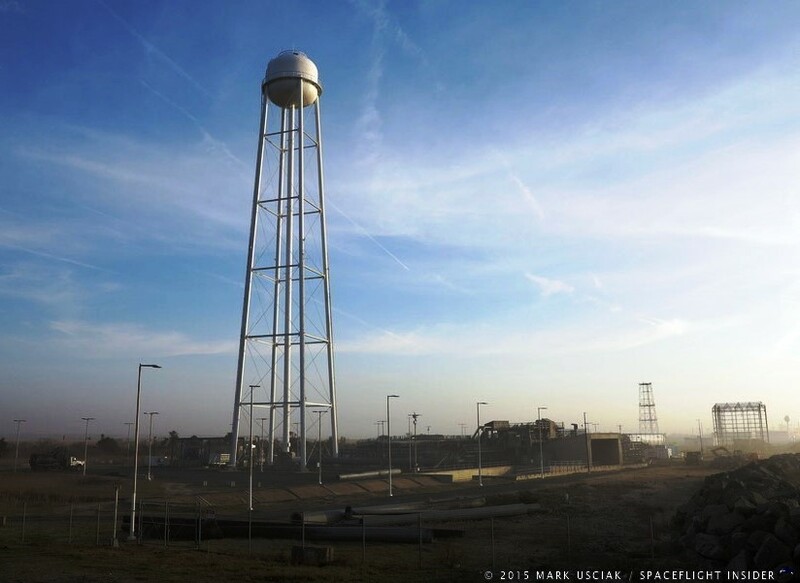 The new agreement protects the Commonwealth’s assets at MARS against damage while at the same time providing a state-of-the-art launch facility for our customer, Orbital ATK, at a highly competitive price,” said Virginia’s Transportation Secretary Aubrey Layne. It is expected that the repairs to the site will be completed by the fall of 2015. “The cost of repairs to Pad 0A are expected to be approximately $15 million at completion, split equally between Virginia Space, Orbital ATK and NASA, and rebuild efforts are on schedule as we continue to work with our partners to return the Spaceport to operational status,” said Virginia Space Authority’s Executive Director Dale Nash. While Orbital ATK works toward getting Pad 0A back in service, the company has entered into an arrangement with Colorado-based United Launch Alliance (ULA) to send the next Cygnus spacecraft on its way to the space station. ULA will utilize the 401 configuration of its Atlas V booster to accomplish this. Representatives of which have stated that it has “plenty” of performance capability to send the roughly 12 foot (3.66 meter) tall spacecraft to the ISS. A variant of the four-meter fairing is also capable of accommodating Cygnus. Whereas Antares flies from Wallops Flight Facility, this flight of Cygnus will take off from Cape Canaveral Air Force Station’s Space Launch Complex 41 in Florida. Repairs to Pad-0A are currently scheduled to be completed as early as the end of September of this year. NASA, Orbital ATK and MARS have installed an improved hydraulics system (used to lift Antares vertically into place) at the launch site; it has also undergone testing and certification. These and other systems should be ready to support a hot-fire test of Antares, which is slated to take place early next year (2016).